Cancers of childhood differ from those of adulthood on a number of levels and are generally associated with fewer genetic alterations. Indeed, many are driven by known, key genomic events, translocations being predominant. When and where these events take place are largely unknown, but the paediatric presentation is suggestive of events early in life, even perhaps in utero. 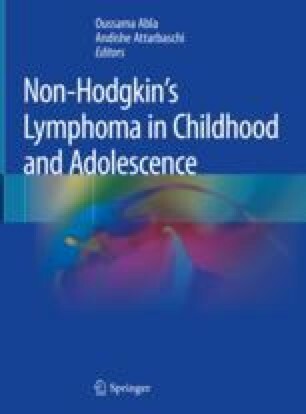 Anaplastic large cell lymphoma (ALCL) presents an excellent paradigm of the origins and pathogenesis of childhood cancer being largely associated with translocations creating hyperactive anaplastic lymphoma kinase (ALK) fusion proteins posited to occur in primitive haemopoietic cells, ultimately presenting in the periphery with a disease phenotype perhaps shaped by normal T cell activities.